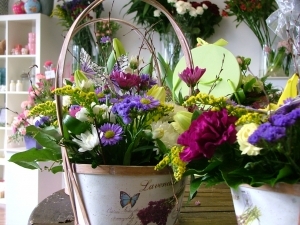 Green Gate Flowers offer a wide range of beautiful fresh flowers and plants, handmade Irish chocolates, and teddies. 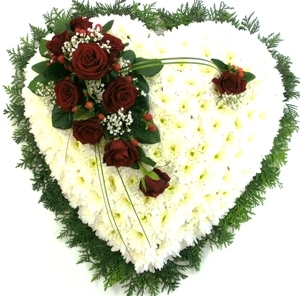 We also offer sympathy / funeral flowers. 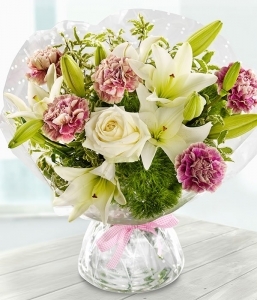 If you would like advice on your choice of item, please call us on +353862722183. 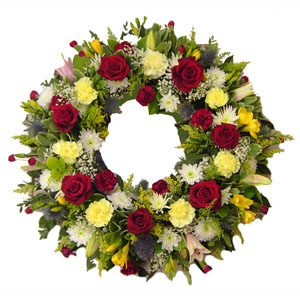 We offer both contemporary and traditional style items, from bouquets and arrangements, to quality and stylish sympathy tributes. 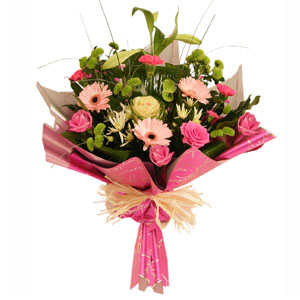 Green Gate Flowers are a leading florist in the Sligo / Leitrim area. 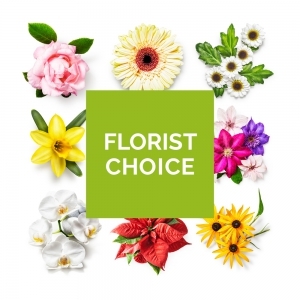 We import our plants and flowers directly from Holland and pride ourselves on offering the freshest flowers and premium quality plants to our customers. 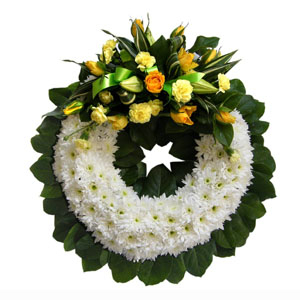 Sympathy / funeral flowers, and wedding flowers. 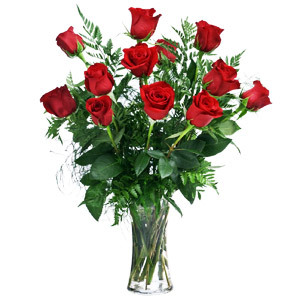 Valentine's Flowers, Birthdays, New Baby - beautiful flowers for all occasions. within a radius of 30km. Additional information as regards directions and landmarks is very welcome, and a telephone / mobile phone number is essential. 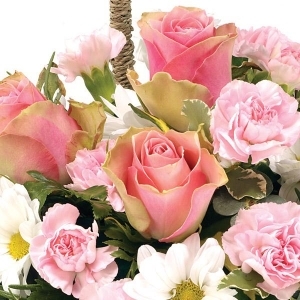 Exactly what I ordered beautiful arrangement of fresh flowers. 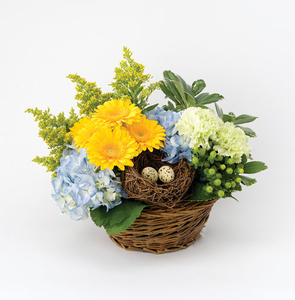 Our friends were very pleased with the flower arrangement. Will use this service again. 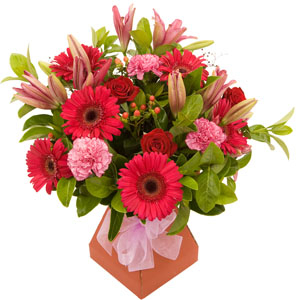 Flowers delivered quickly and my friend was delighted with them. 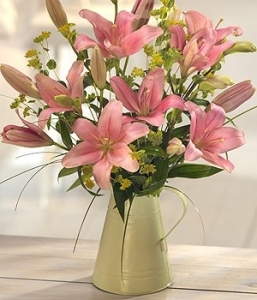 Always hard to rate flowers you&rsquo;ve sent but not actually seen but the recipient was thrilled and said they&rsquo;re lovely so that&rsquo;s good enough for me !! 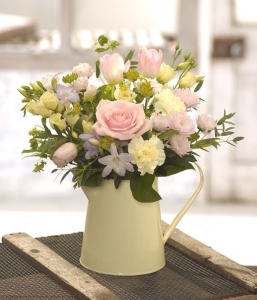 They sent a slightly different container (not a watering can as depicted) but flowers arrived on the day and my aunt was very pleased with them. The florist had a bit of trouble finding the address but so did I when I visited! 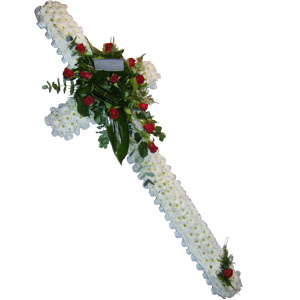 Mum loved the flowers and arrived when requested,I would definitely use this florist again. 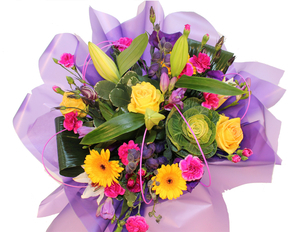 Bouquet looked fresh and colourful as photographed. Made my sister very happy . 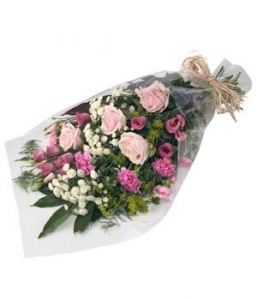 The flowers were excellent and were delivered in time with a friendly smile. 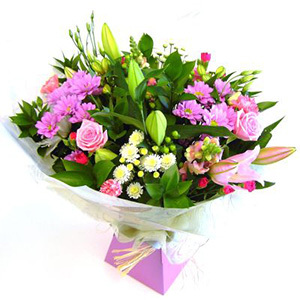 Very pleased with Green Gate Flowers - will definitely use their service again! 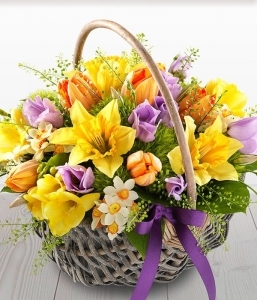 Stunning bouquet of flowers! Excellent value & service. Thanks Jackie & Co. Fantastic. 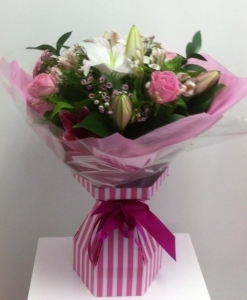 Beautiful flowers and prompt delivery. Thank You. 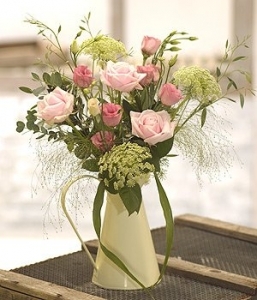 Delicate pinks and greens arranged in a keep-sake jug. 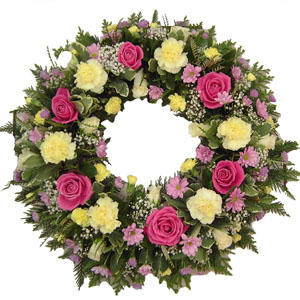 Round based wreath with corsage - colour of corsage may be specified when ordering. 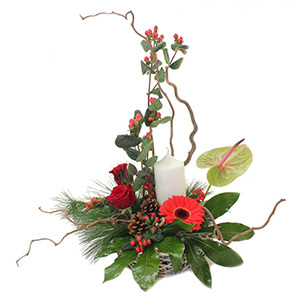 Bouquet of rich red flowers with seasonal foliage. 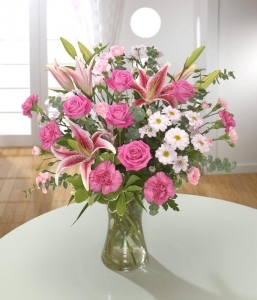 Selection of pink roses and lilies presented in a gift wrap bouquet. 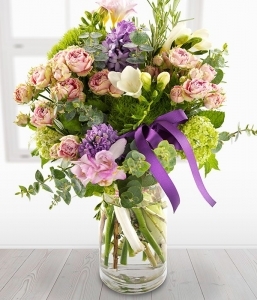 A selection of delicate spring flowers arranged by your florist and presented in a pretty vase. 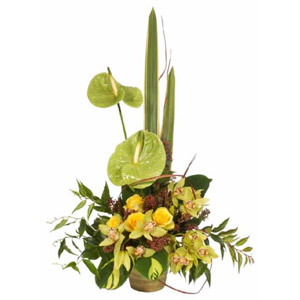 Flowers arranged in a beautiful vase to create a stunning contemporary design. 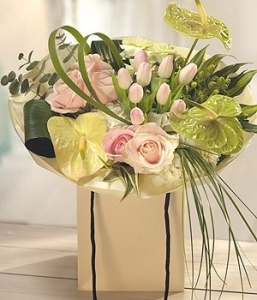 Hand tied selection of premium flowers and foliage in water, presented in a gift box. 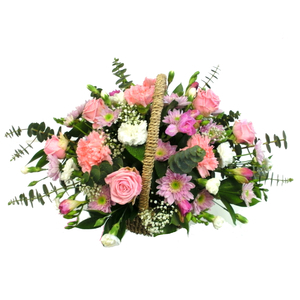 Selection of pretty pink flowers arranged by your florist and presented in a gift wrap. 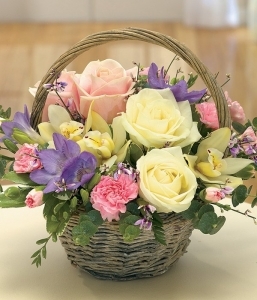 Beautiful selection of spring blooms presented in a pretty basket. 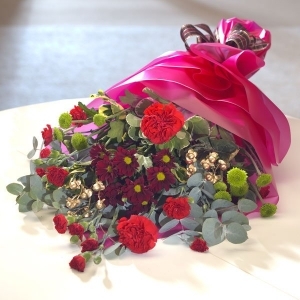 Selection of luxury flowers and foliage hand tied by your florist. 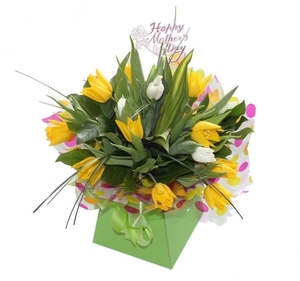 Beautifully arranged Spring Flowers in presentation box. 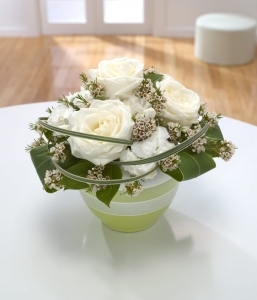 Container arrangement with white flowers only. 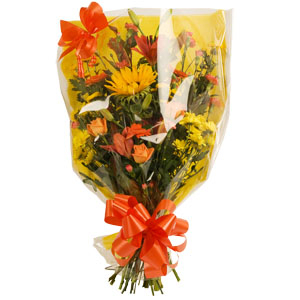 Selection of seasonal flowers and foliage presented in gift wrapped bouquet. 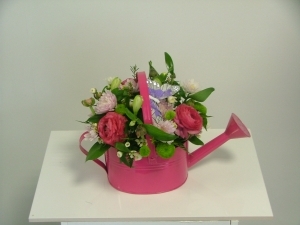 Cute and colourful - watering can with a selection of seasonal flowers and a co-ordinated butterfly! 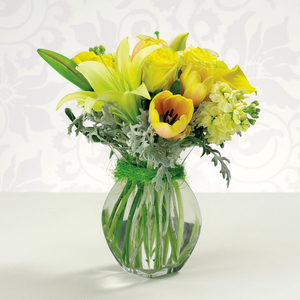 Vase arrangement containing lilies, carnations and complimentary foliage. 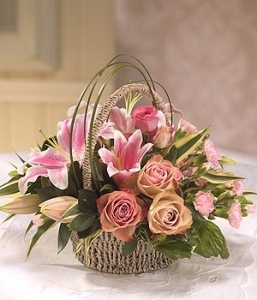 Basket with beautiful seasonal pink and white flowers. 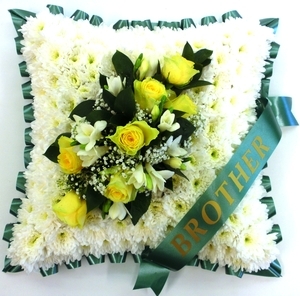 Based cushion or pillow, with corsage and personalised ribbon.